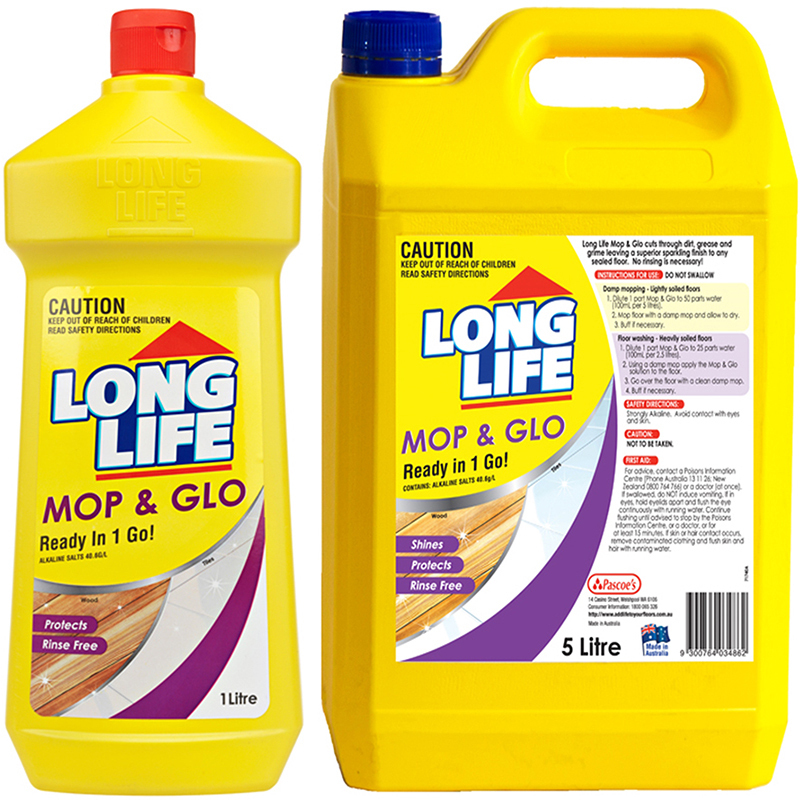 Long Life Floor Mop and Glo is an easy clean, no rinse floor cleaner with wash and polish combination for routine maintenance of floors. 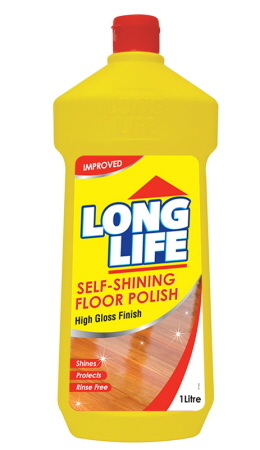 It is suitable for heavily soiled floors including sealed wood, sealed cork, linoleum and other sealed floors. 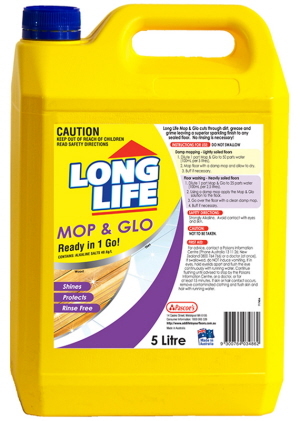 Available in 1L and 5L. 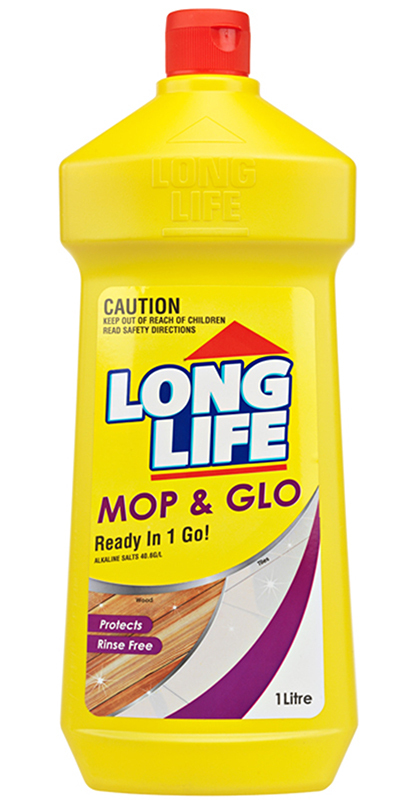 Clean and polish your floors at once with Long Life Mop and Glo! 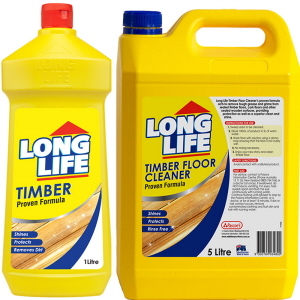 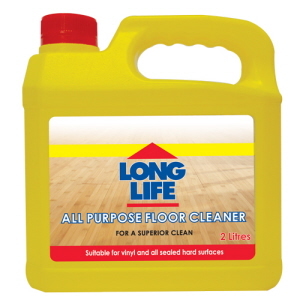 Long Life All Purpose Floor Cleaner is a biodegradable, effective cleaner that cuts through all dirt tough grease and grime on all floors and hard surfaces.